Black Friday Casino Offers: Get up to 253 Free Spins at Superior Casino! 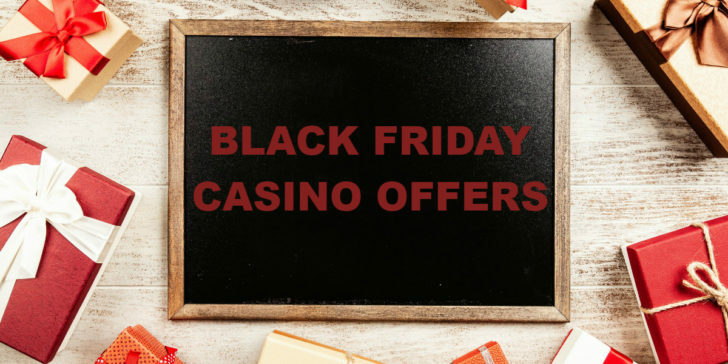 Are you only planning to go shopping, or do you also want to take advantage of the best Black Friday casino offers? The best deals are at Superior Casino. Superior Casino shows its superiority over other sites with their Black Friday casino offers. First of all, if you already have an account and have made a deposit in the past 15 days, awesome! You will get to wager your 23 free spins on Almighty Dollar. Watch out, you only get to play during Black Friday itself! However, not being registered at the site does not mean you’re out of the Black Friday casino offers. Sign up for your new account now and make a deposit of at least $30. That way, you will get 230 Almighty Dollar free spins and you can use them throughout Black Friday weekend: from 23 till 25 November. Already thinking about making a deposit? Check out our review about Superior Casino to see what methods are available! Win up to 253 free spins! Claim Promotion! Claim Promotion at Superior Casino! Check out the latest online casino promotions in the United States! To learn more about the best Online Casino Sites in the United States, have a look at the Online Casino Reviews section. Win Your Share of €15,000 in PlayFortuna Casino’s After Halloween Promotion!